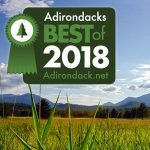 Looking for a great destination for mountain biking in the Adirondacks? Look no further! 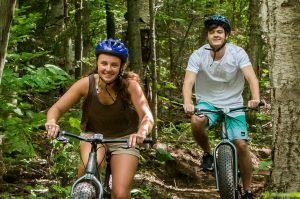 The single-track bike trails, cross country ski trails, and old roads surrounding Garnet Hill Lodge offer a great variety of mountain bike terrain here in the Southern Adirondacks. 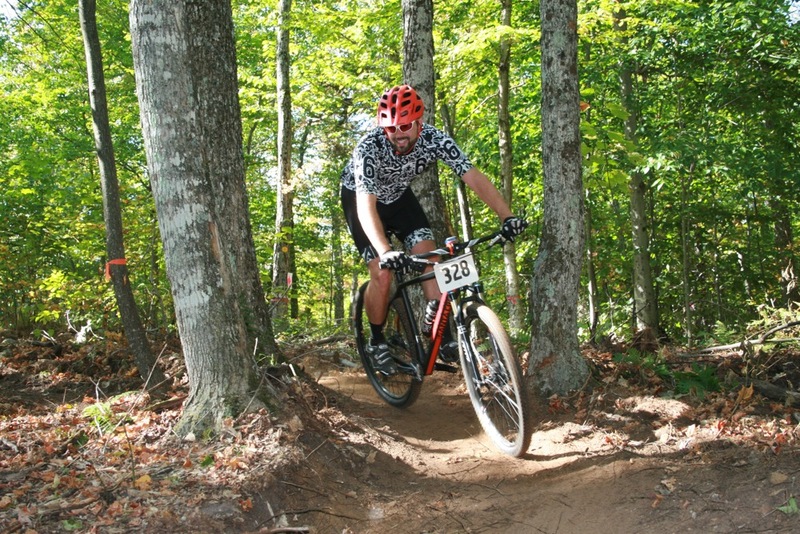 Garnet Hill’s mountain biking terrain features 5 miles of new, dedicated single-track mountain biking trails in the Log House Area as well as an extensive network of pre-existing single-track trails, cross country ski trails and dirt and gravel roads. The new trails were built to the highest standards by Wilderness Property Management, a local expert in the bike world, and designed specifically for mountain bikers. Some of our trails feature fantastic views of the Adirondack’s high peaks, while on others, you will find yourself in a serene wooded setting. After a fantastic time out on the trails, head back to the Garnet Hill Outdoor Center or the Log House Restaurant up at the Lodge for something to eat. Fat bikes give you the ability to explore more places in more seasons. From snow to dirt, and powder to mud, fat tire bikes give you the traction and control you need to tackle anything. Use our mountain bike trails and hiking trails to enjoy thrilling bike rides from easy to adventurous. Mountain bike rentals are included with overnight stay at the Lodge. Fat bike rental rates are listed below, overnight guests incur a discounted fee.